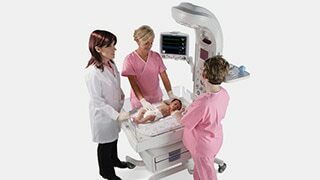 When you’re caring for your newborn patients, you want the best phototherapy you can get. Our line of phototherapy products helps you deliver exceptional, effective jaundice management and promote a family care environment. Delivers high-performance, high-intensity phototherapy with whisper-quiet and low-cost operation and 28% faster serum bilirubin breakdown. Designed with babies, and their families in mind, the Giraffe OmniBed Carestation creates a controlled, protected microenvironment for peaceful, fast healing. 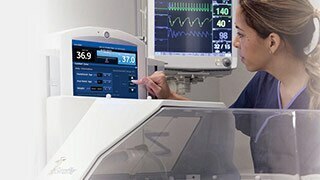 Creates a healing environment, combining state-of-the-art technology, innovative design and exceptional thermal performance to help newborns thrive.